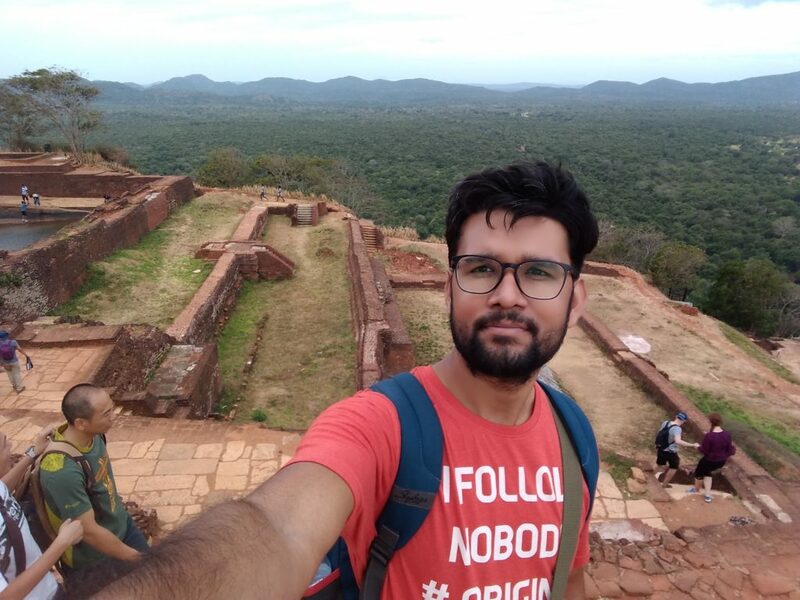 Sigiriya or Sinhagiri is an ancient rock fortress which was raised over 200 meters rock, located near to Dambulla town, Matalle district in central province of Sri Lanka. The name came after the sculpture of lion which serves as an entrance to the top of the fortress, this gigantic lion can be seen when you are half way on to the rock. 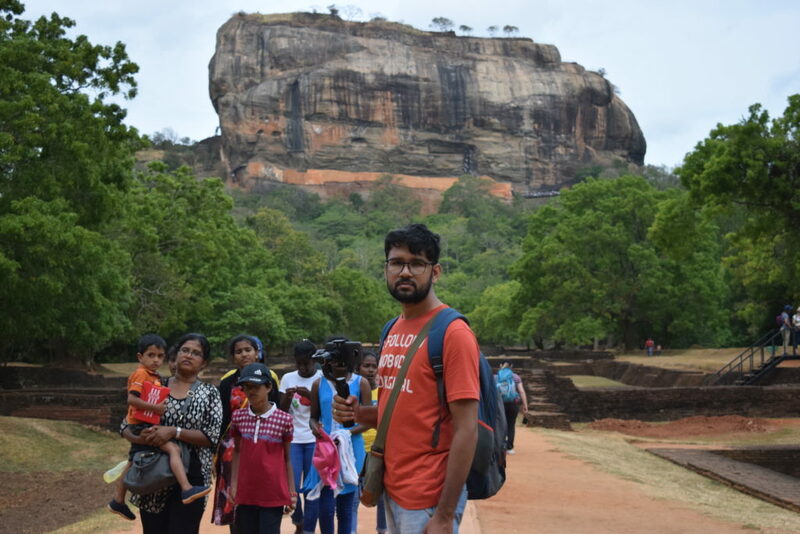 When you are in dilemma about what places you need to cover while you are spending holidays in Sri Lanka, then Sigiriya Lion rock is arguably one of the best places to visit in Sri Lanka both for history and picturesque views. 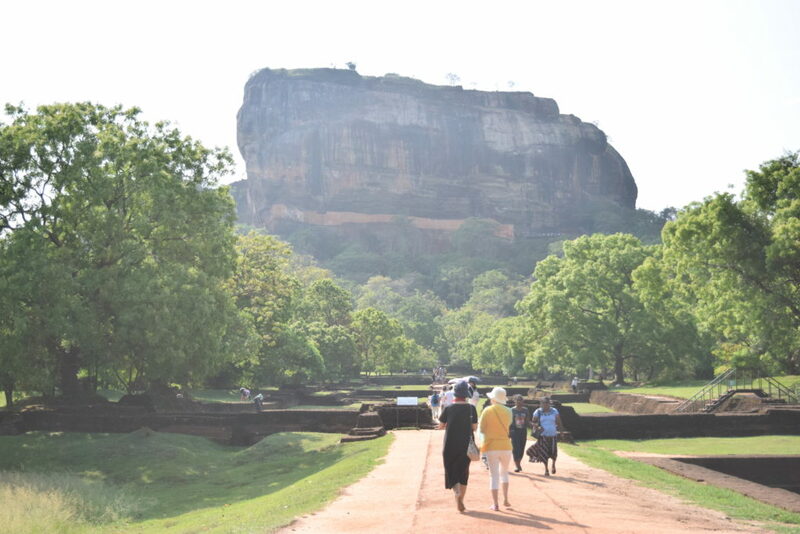 This fortress was built under the influence of King Kasyapa which served as a new capital for a period of more than ten years. 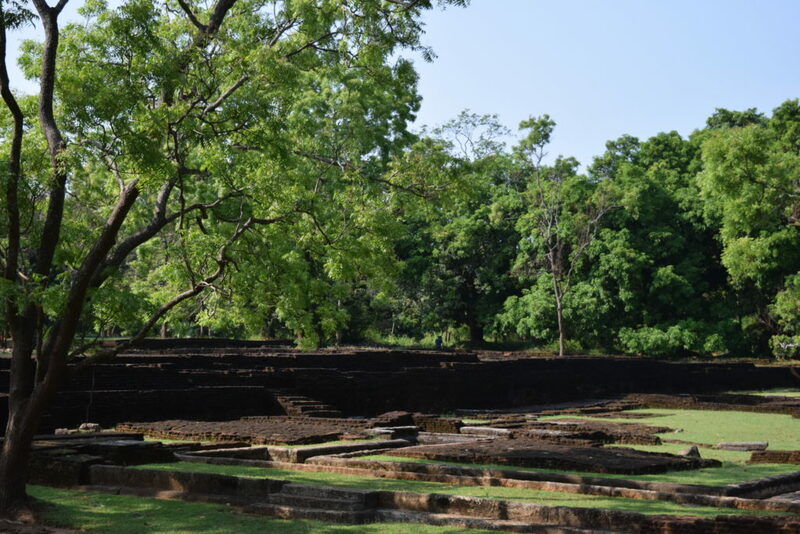 After the demise of the king the place was abandoned and was used as a Buddhist monastery until 14th century. Don’t get nervous after reading or watching several stories about how difficult it is to climb to the top, it’s not a trip to sun which can never be accomplished. Stay calm, leave early from your hotel to get the best out of it. In this story I’m gonna share few of my experiences and some tips so that you can conquer the lion rock very easily. 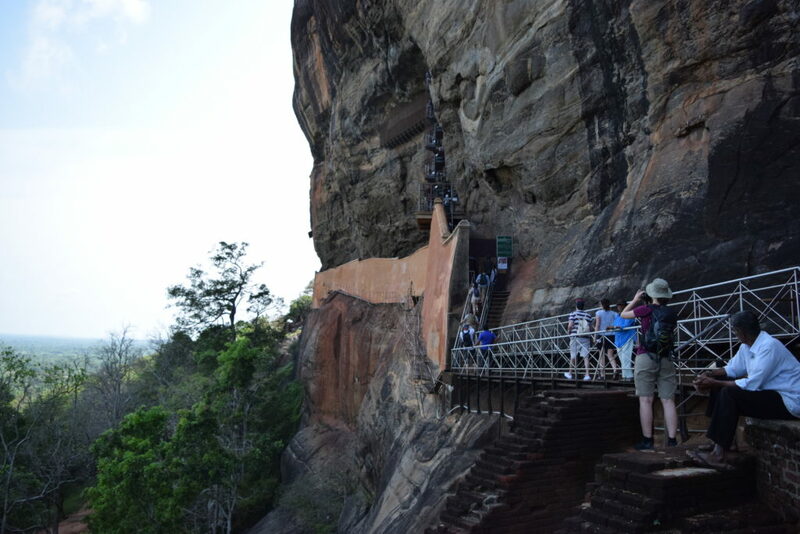 Visiting Sigiriya Lion rock… what do you need to take with you? Well fitted Hiking or climbing shoes, it’s more of a trek rather than couching at a place, to avoid any unwanted injuries to ankle and feet. I used crocs to climb it served me well, if you are good with them you can have them too. Don’t forget to stay hydrated all the time, carry a water bottle with you. You can spot stalls, but they can’t come along with us all the way. Wet wipes and tissues will be very useful in the scorching heat of sun. Carry a sunscreen lotion which has SPF of more than 50 which helps to protect your skin against burning. Carrying an umbrella is a wise thing as it can assist you in both wet and dry conditions. Carry some snacks and energy drinks, they can help you when you are famished. Choosing right outfit means a lot when you are visiting this place, wear light weight clothes preferably cotton or linen to avoid excessive sweating which in turn keeps you energetic all the time. There’s a halfway point where you can sit and relax for a while, have some snacks and drink water. It takes one to one and half hour to cover the entire thing. Opens at seven in the morning and closes at seven in the evening. Best time to visit till 11:00 AM and after 03:30 PM. 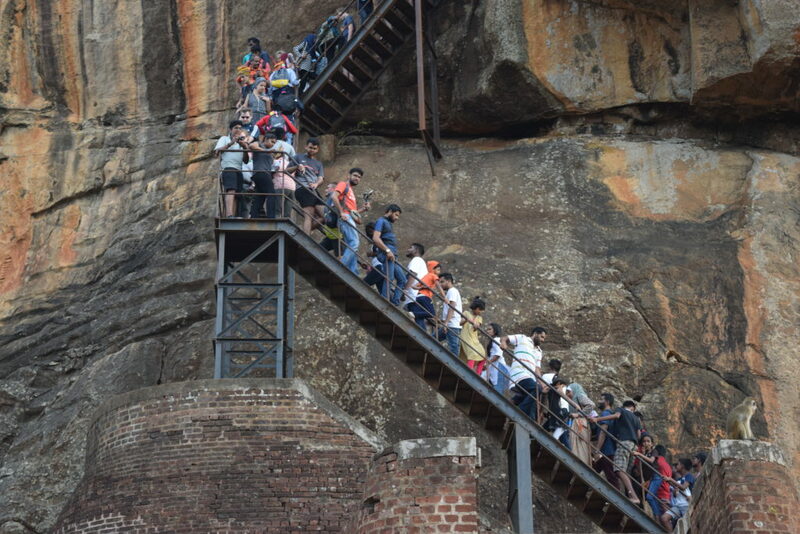 If you are acrophobic, my sincere advice to you is to avoid this as you may feel dizziness and vertigo as you go up. Better way to overcome from these kinda problems is to not to look down hill while climbing. You can’t have a direct contact with the mirror wall and the murals and are restricted from taking photographs of the same as they are vulnerable to flash light of the camera. 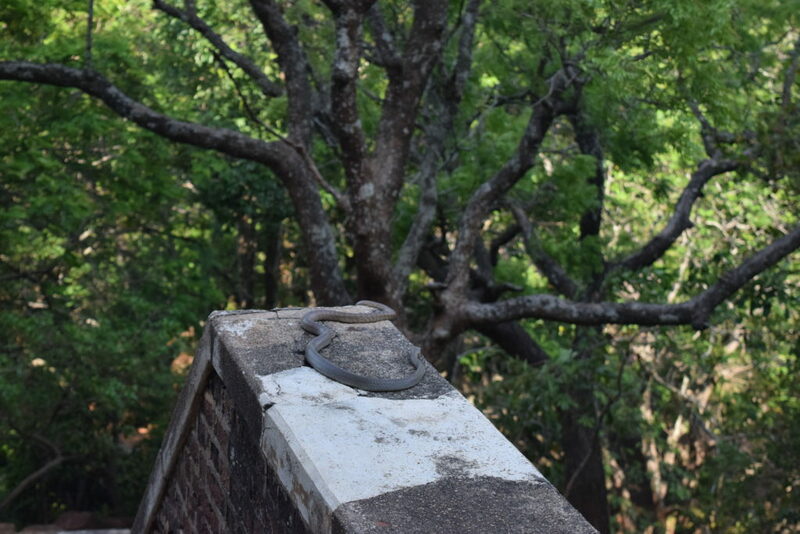 If you are ready to set off, the hike up hill is not as scary as you think, you need to climb 1250 steps to reach the top. 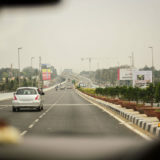 As soon as you park the vehicle in the parking lot, you are welcomed by a dusty road which leads to the sigirya lion rock. However, you are supposed to collect entry tickets from the counter, if you are an individual of SAARC country kindly carry your passport for a discount on entry ticket. Both dollars and local currency are accepted for getting a ticket, you can exchange money if you are running out of it. 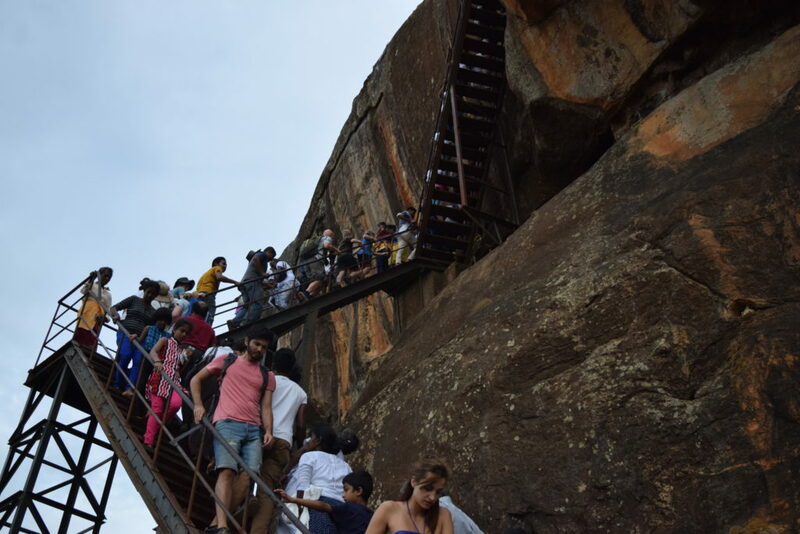 Head towards the museum which is at a walkable distance from the ticket counter, spend some descent amount of time in exploring the remnants of the rock fortress. 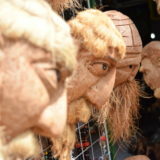 I’m sure you will gain some knowledge from these artifacts’ before you head towards the main site. Most part of the museum is occupied by the structures that have been excavated from the site, on some parts you can see wall paintings which are well preserved by the local authorities. 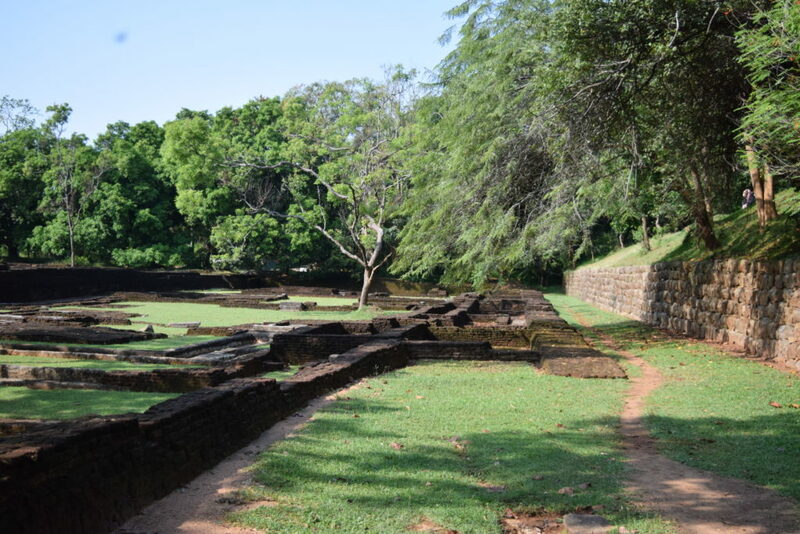 A dusty road paved by brown mud and gravel welcomes you which are surrounded by the lush green gardens and a moat which encircles the Sigiriya rock; this can be seen once you enter into the vicinity of the rock fortress area. 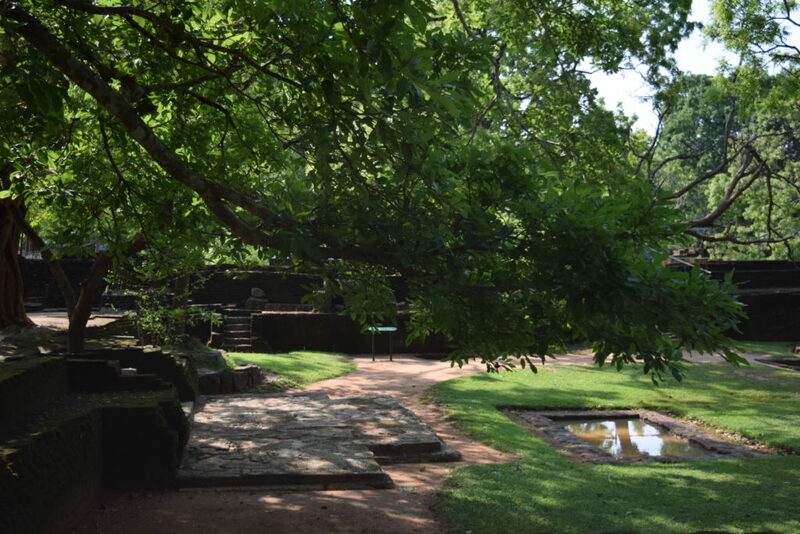 The first site you come across after getting onto the few steps is the gardens, these are the oldest landscaped gardens in the world which are divided into three distinct types: water gardens, cave and boulder gardens and terraced gardens. Water gardens can be seen in the central section of the western precinct and are built symmetrically on the east-west axis. These are connected with the outer moat on the west and the manmade lake on the south of the rock. 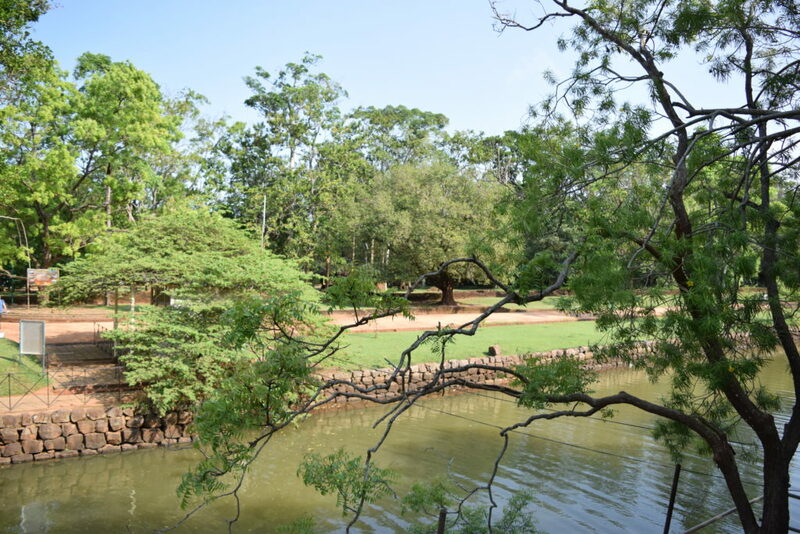 Members of the royal family used these gardens as a summer retreat to avoid scorching heat of the sun. As you advance, you can see two long deep pools which are set on either side of the path with water fountains made of lime stone. An octagonal pool can be seen on the left side of the road which is 100 meters away, with a raised podium on the north east corner. This pool is located in close association with fort wall, with few clogged water. The boulder gardens hosts lots of boulders which were used to attack enemies when they approached. The garden spreads across the foot hill from northern end to the southern end of the fortress area which is interlinked by the winding pathways. The terraced gardens are formed naturally at the foot hill, guarded by the brick walls with a staircase made of limestone, which provides a way to the lion stair case. From this point you can overlook the boulder garden, water garden and the thick forest that surrounds the rock. Spirals lead to the frescos, these are the oldest paintings which can be seen on the walls made of plaster. Photography is prohibited in this area as the flash light has a damaging effect on these paintings. These paintings are in close resemblance to the one’s found in Ajanta and Ellora cave’s in India. 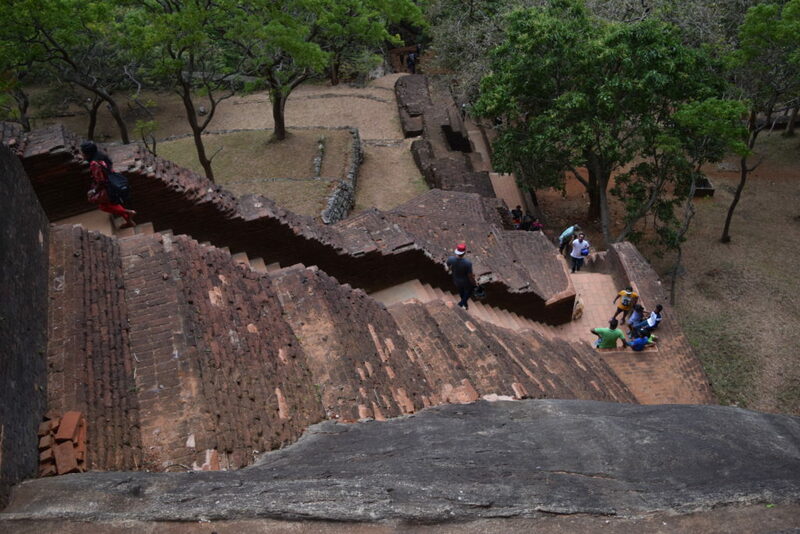 On the half way up to the lion stair case, you can see a brownish red wall which is made of brick masonry and covered with highly polished white plaster. It is well known as mirror wall, as it is highly polished and was used by the king to see his own reflection while walking across the wall. Don’t try to see your reflection, as most of the wall has been damaged by the scribbling of the visitors, some of them even dated back to 8th century. Now the wall is well protected and can’t be touched while passing alongside. At the half way point you can come across hordes of visitors relaxing, having some snacks and taking some nice photographs as this is a popular photo hot spot. From this point the second phase of the adventure begins, as we need to climb uphill which is winding and steep. If you are acrophobic, it’s better to avoid watching downhill as you move up; some may feel dizziness, giddiness and nausea. My wife experienced the same situation; she couldn’t get on even to the half way from this point. She retrieved back to the lion stair case and took some rest. Reached the top within twenty minutes, it was a sight for my sore eyes. There’s only one way through which we need to go to the top and come back. The view up here is breathtaking; all the visitants were busy in capturing the happiest moments in their cameras. There are lots of steps here to move from one end to the other end of the palace. There’s a courtyard on the top, to the left there’s a throne carved out of a single stone, from this point the king can overlook not only the vicinity of the palace but also the thick forest which engulfs the rock. On the south we can see the palace; we need to get down few steps to reach over there. Spent some amount of time watching the picturesque views from this point and moved onto the adjacent pond which was used for domestic needs. 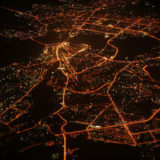 Everything is well connected by steps which are in good condition. We need to be bit careful while walking on the edges as wind passes with a good amount of speed. 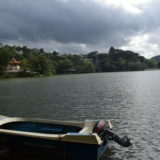 This place is considered to be the best place to take time lapse if you are a film maker or a vlogger. I rushed down after few minutes as I need to take care of my wife. 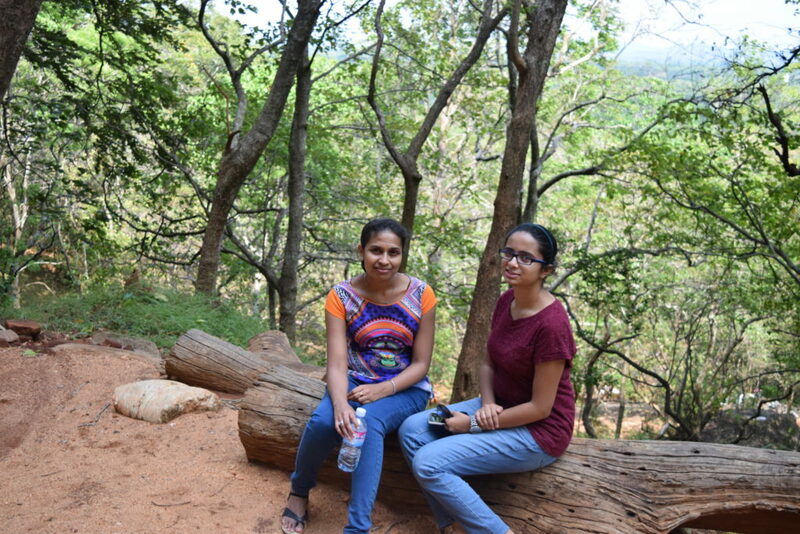 She was recovered from the giddiness by the time I met her, ate some snacks which were brought with us and started return journey. While getting down, you can follow the same path as you came up or you can take a diversion in the midway if you are a foreigner. On the way we can see two spots I.e. cobra rock and a mini courtyard. We can see lots of sign boards indicating how to get to the parking area for foreigners. By the time we reached the parking slot we were extremely hungry, the guide was waiting for us, we headed towards the nearby food court. 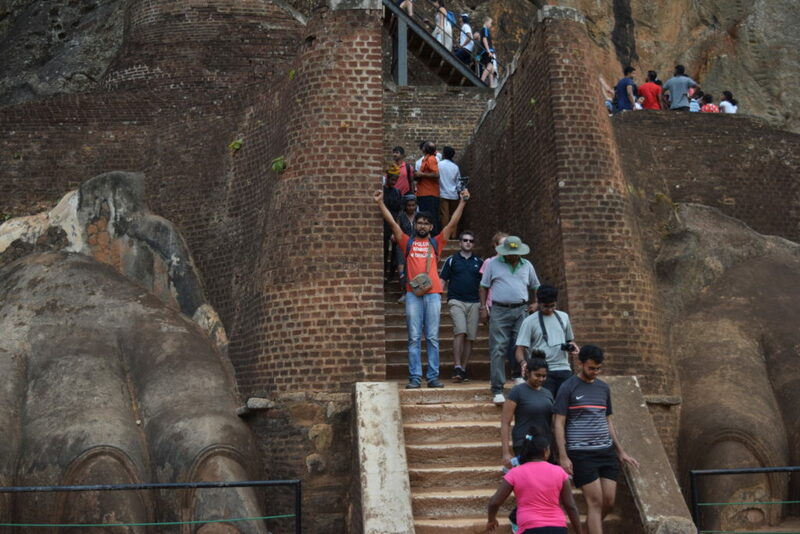 Sigiriya lion rock is one of the best places to visit in Sri Lanka, the place is accessible to all age groups. 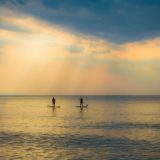 One thing to keep in mind before visiting this place is to be mentally stable and physically fit. 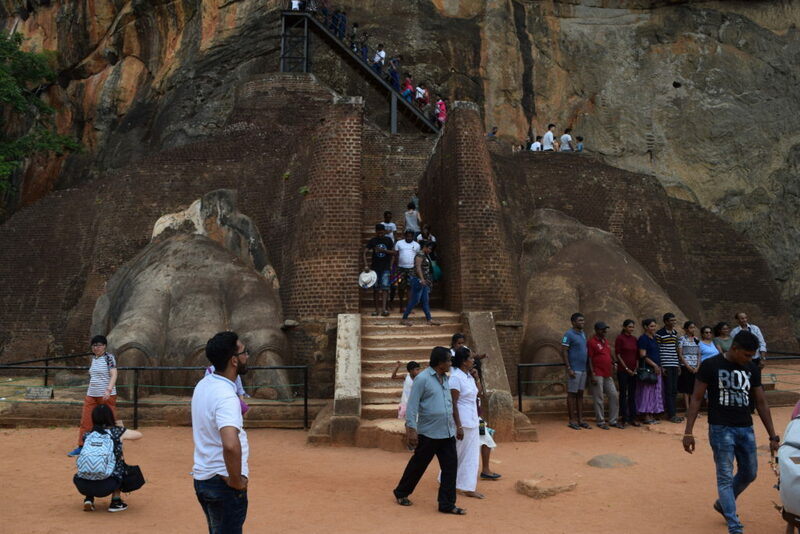 Hello hodophile have a happy vacation at sigirya lion rock meet you in next story.